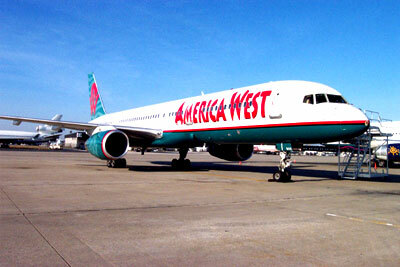 Established in 1981, America West Airlines is owned by America West Holdings and is one of the top ten major airlines in the United States. With a fleet size of 95, America West Airlines operates scheduled flight services to over 95 destinations in the US, Canada and Mexico. Code share agreements made its services expand to Europe. The airline operates from its hubs at Phoenix Sky Harbor International Airport and McCarran International Airport. The airline company is a member of the Star Alliance group and its frequent flyer program is known as Flyer Fund. In 2005, America West Holdings Corporation has announced that the company will merge US Airways Group and the merger was officially completed in September 2005. At the start January 2006, all America West Airlines flights were labelled as US Airways. The frequent flyer program for America West Airlines is known as FlightFund. The program later became known as US Airways Divident Miles Program after the merger in late 2005. 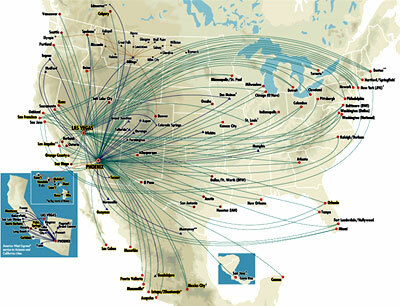 America West Airlines Flights To Airports Worldwide. America West Airlines is a subsidiary airline company of the US Airways Group.